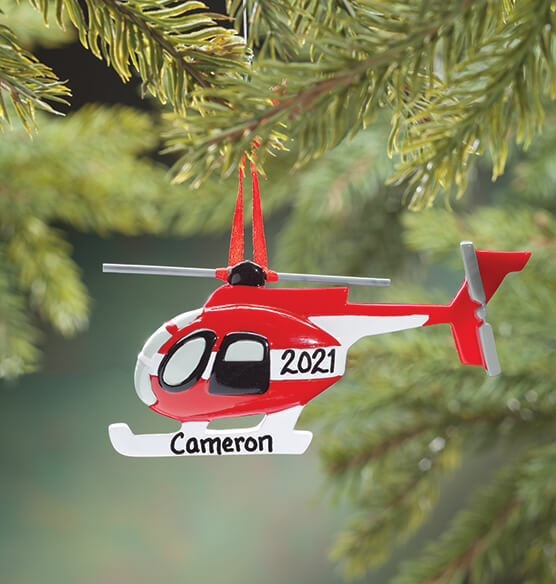 You’ll land the perfect gift when this shiny red personalized helicopter ornament arrives just for one lucky recipient. Great for kids of all ages, the Christmas decoration is brilliantly detailed in classic style. We’ll add any name and year, creating a gift that soars from fun to FAVORITE! Specify name; limit 1 line, 10 letters/spaces. Specify year; limit 4 characters. Resin. Personalized Christmas ornament measures 2" long x 4 1/2" wide. My son loves airplanes and helicopters.